In the next list are described the best zones for leveling through level 1 to 80. The favorites zones are not random, there you can find most class quests, good quests criteria, nice zone design, superb condition to farm herbalist, fishing, mining and skinning skills, there are other players for party, you will discover over 70% of flight paths, lower ganking and PVP activity e.t.c. Sorry but I am not familiar with alliance shamans class quests. Durotar/Mulgore/Azuremyst Isle(alliance). Leveling from 1 to 10. Intro zone. Helps you to learn an interface, quest system, party system. Barrens/Silverpine Forest/Darkshore(alliance)/Westfall(alliance). Leveling from 10 to 20. Barrens is a very big zone and without mount is hard to complete quests fast there. 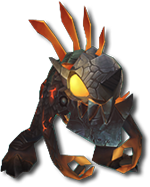 Is a friendly horde territory (hostile faction characters canÔÇÖt attack you if you donÔÇÖt attack them), keep in mind it when you are in Ratchet. Use flight paths between Orgrimmar, Ratchet, Crossroads, Camp Taurajo to travel fast from one quest point to another. Also use your Ghost Wolf spell with +40% self speed improvement. I recommend you to obtain a mount @lvl20, before you leaving horde territory (alliance territory). Very important to take some professions early like mining or better herbalism for shamans and farm ÔÇÿem in the Barrens. Farm some herbs in the Barrens and sell then on Auction House (AH). You can sell raw materials on AH successfully for a good price, which will help you to learn all spells and obtain good mounts. DonÔÇÖt try to make money on your low level primary profession like Alchemy, Blacksmith, Jewel crafting, Engineering e.t.c. Here you can improve your mining or herbalist from skill level 50 to 170. Tip. Complete all your class quests, beginning from Valey of Trials, to get new totem spells and the totem relic. All class quests will happen in friendly zones: Durotar, Barrens, Silverpine Forest. Exception is a short quest to take wind totem in Thousand Needles. Beginning from level 15 you can participate in a dungeon events, just type ÔÇ£IÔÇØ for it, after log into the game (you can wait about an hour before a party will be created at low levels :)). Dungeons are very good places to farm XP points and good gear. Always log out at Inn to refresh your rest XP-bar faster from violet (50% gained experience) to blue (150%). Make "BIG" Money Tip. During your Barrens trials you can farm Leaping Hatchling pet. Look at my art image and try to find that place (it is one of my little secret ;)). Then sell that pet at AH for 140-199 gold! You are able to farm that pet 3 or4 times during leveling. Another tip is to farm Savory Deviate Recipe from all Barrens NPC. If you get one of them, then you are "gold":) - you can sell that recipe on AH for 1500-1999 gold fast enought. Important. During quest line activity first of all complete short quests (they require you to collect something, to kill a number of NPC, to bring a package, to investigate or discover something), avoid hard quests (cross zones involving, to kill an elite NPC in a cave, dungeon quests) and never try any raid quests or ÔÇ£hi-endÔÇØ zone quests (they are very hard to complete even @lvl80 and most of them are bugged). ÔÇ£Hi-endÔÇØ zone quests are offered in Eastern Plaguelands, Silithus, Burning Steppes, QuelÔÇÖDanas, Netherstorm, Shadowmoon Valley, some Icecrown and Storm Peaks quests (they are marked as blue signs, repeated, daily). Stonetalon Mountains/Ashenvale(alliance). Leveling from 19 to 25. They are the first ÔÇ£ContestedÔÇØ zones, where PVP is active mostly. For horde Stonetalon is preferred. Hillsbrad Foothils (both). Leveling from 25 to 30. This is superb zone and no matter that PVP activity is high.You can farm every skill and profession here well. Alliance players just love this zone, because here are a lawn, flowers, lanterns, trees, tracks, flowerbeds e.t.c. :). Capital city Undercity and next zones are near! To prepare yourself for Arathi Highlands you can do few quests in Thousands Needless (nice views) to reach level 28 or 29. Arathi Highlands (both). Leveling from 29 to 40. This zone is good because you can farm your professions here also. This is only one zone where Iron deposit veins are in huge quantity, which helps you to prepare your skills for Mithril veins. Hinterlands (horde)/ Tanaris(alliance). Leveling from 40 to 50. The Hinterlands is superb zone for horde faction to leveling. Go to Revantusk Village and you will get a lot of nice quests and items. Alliance faction has a few quests here only, so alliance activity here is low. This zone is much better than Stranglethorn Vale, Swamp of Sorrows or Tanaris. Alliance should go to Tanaris, because better choice isn't. To improve herbalist the Hinterlands is the best zone at specified level. Searing Gorge (both). Leveling from 45 to 50. This zone is good just to discover flight paths to Blackrock Mountain mostly. Blasted Lands (both). Leveling from 45 to 55. You can travel to this zone instantly, just use portals to Dark Portal in any capital city (near mage trainers). Most quests here are not hard to complete and give a lot of experience points. The best place to farm Mithril veins and good place to improve other skills. Just forget to improve you fishing skills here. The same level zones are Felwood zone and UnÔÇÖGoro Crater. Felwood is quite boring zone. Quests there manage you to jump from northern to southern sides permanently. The ÔÇ£CraterÔÇØ can be interesting, but are too far from capital cities. Hunters should like ÔÇ£CraterÔÇØ zone. Winterspring (both). Leveling from 55 to 60. The best zone to get your level 60 and prepare your skills for Outland areas. Very nice views, soundtracks, farming resources, quests. A huge amount of Thorium veins deposits. If you think different, then go to Western Plaguelands, Eastern Plaguelands, Burning Steppes or Silithus. There you will find morose area with a lot of raid or dungeon quests and low quantity of farming resources. Hellfire Peninsual (both). Leveling from 58 to 63. To start you trials there just take a portal from any capital city to Dark Portal, take a quest from nearby NPC, and enter in. At the other side of Dark Portal take a flight path to Thrallmar. Now is the time to use your Dungeon Finder frequently to Hellfire Citadel and other instances. Try to get some flying mounts there!. The Thrallmar is a very annoying ganking place, remember it. Here you can find a nab, who take a lure role, for some hidden and fully buffed PVP dudes (like rogues, mages, priests, DK mostly). So donÔÇÖt waste much time on described guys and keep your track to Zangarmarsh. If you wanna nuke ÔÇÿem, then better get lvl80 and some good PVP gear and skills anyway. Here are introduced Quartermasters vendors, which sells better gear and keys to heroic mode dungeons. Zangarmarsh (both). Leveling from 61 to 64. Very strange zone where you can improve your fishing skills and others, after Azeroth. You will complete all quests here very fast . From this point you can go to Shattrath City (the Sanctuary ÔÇô PVP is not allowed) and discover a lot of new things in WoW. Nagrand (both). Leveling from 64 to 67. This is the best zone after Hinterlands, for horde faction especially. You can find everything you need there and moreover the single pleasure designed zone in Outland. Here you can improve your fishing skills to lvl 390 and skinning skills also, before Northrend areas. Hunters should prefer this. Just get Nesingwary safari quests. You can farm a lot of elementalÔÇÖs motes (fire, earth, wind, water) around, required to develop your primary profession skills to level 385. BladeÔÇÖs Edge Mountains (both). Leveling from 67 to 68. You can use this zone to reach level 69 before stepping into Northrend, by completing few quests. Borean Tundra/Howling Fjord (both). Leveling from 69 to 71. You can start Borean line from Orgrimmar air port (better) or Fjord from Undercity air port. In Warsong Hold you will find an quest giver NPC, who will help you to get to the Dalaran by teleporting yourself (the single way to go to Dalaran by yourself). Complete portal trainer quests in Dalaran to get access to the city from Crystalsong Forest. Now is the time to improve your reputation with the Kirin Tor faction by wearing their tabard (doing Northrend dungeons will give you reputation with the faction which tabard you wearing). At Revered reputation with the Kirin Tor you can buy the best ele shaman PVE enchant Arcanum of Burning Mysteries for head slot item. Every Northrend faction has a quartermaster vendor which offers some epic items and legendary enchants. The Fjord is more interesting for leveling, as for me. Dragonblight (both). Leveling from 71 to 74. Nothing different. Grizzly Hills (both). Leveling from 73 to 76. Very interesting zone. Is small, but full of quests and events. Some PVP activity ganking is near Conquest Hold ÔÇô just hunters wanna hunt exotic pet Arcturis there. You should go to Venture Bay and Blue Sky Logging Camp there also :). Storm Peaks (both). Leveling from 77 to 80. Now is the time to learn Cold Weather Flying (requires level 68 and 225 skill in Riding plus 1000 gold) from Hira Snowdawn at Krasus Landing in Dalaran. If you have money, then get it as faster as possible. Without flying mount Storm Peaks and Icecrown can be a nightmare zones. I recommend you to start all questlines at K3. It will help you to get friendly contacts to Sons of Hodir faction and access to the best elemental shamanÔÇÖs shoulder enchants Greater Inscription of the Storms and to a few epic mounts. For example, ZulÔÇÖDrak can be a bit boring zone (with about 15 bugged quests) and Sholasar Basin will surprise you as the best PVP zone in WotLK. There are 3 exotic beasts which every hunter wanna transform into a pet. They frequently patrol area around 24 hours per day. You can find hostile characters there everywhere: behind bushes, in air, underwater, in caves, on trees. So go to ÔÇ£PeaksÔÇØ. Icecrown. Leveling from 79 to 80. The Final Goal. First of all get all quests from Dalaran, because they will start a series of other quests in Icecrown. Start your trial to Icecrown from The Argent Vanguard base. Also fly to Argent Tournament (far at north) and get a lot of daily quests there. This will help you to level faster and to get better gear items. I wonder if this still holds true today (or at least part of it). I'm trying to figure out a good leveling route for myself (Horde) and I'm not sure how to go about it. Cant take the portal to Blasted Lands until you are already 58.. Recently I leveled an alt using this guide on the 7x realm (Alliance), and for the most part its still a good and relevent guide, only had some little problems. 10-22 Darkshore, you can even go more then 22 in this zone, but me following this guide, stopped there. 22-26 Ashenvale, again you can go more levels here as well, I stopped due to the guide. Going to Hillsbrad at 26 wasn't really good, as I found only 1 quest in Southshore, and it wanted me to kill some 31 level murlock mobs, and them being 5+ levels above me was a little struggle. Luckily its 7x and the leveling went fast since I also had Heirlooms, and as I leveled more the quests kept unlocking, then I combined Hillsbrad, with Arathi and Alterac Mountains to get 40+ in those 3 zones. For the Outland and Northrend sections of the guide they're fine.